An addition of 14,000 square-feet was built onto the Carnegie building and dedicated on Sunday, November 10, 1963. The need for more library space was primarily attributed to an increased population and a record-breaking amount of library circulation. When completed, this addition enclosed the east side of the original building entirely. 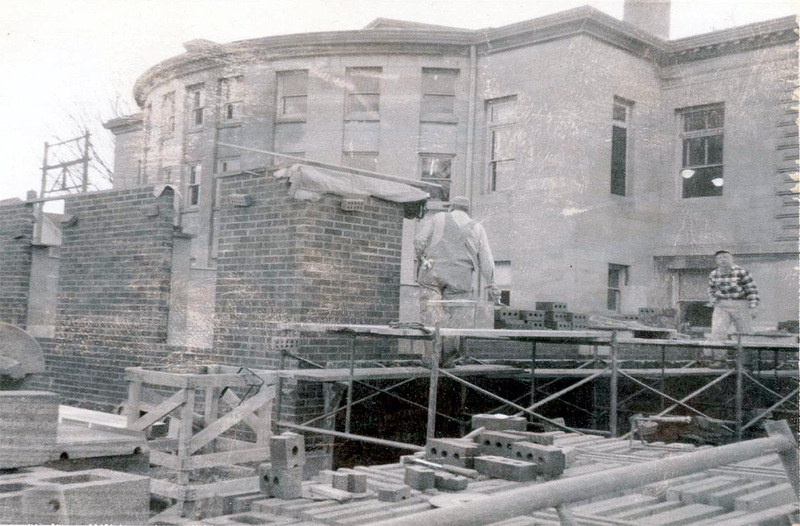 “Iowa City Carnegie Library Addition, 1963,” Iowa City Public Library, accessed April 19, 2019, http://history.icpl.org/items/show/196.